An open letter to my fellow Africans......! Each of Us must stand in our own supreme power! I am writing to you because we must stand in our power as Africans. I hope you will be patient and take the time to read my open letter. It has been a month now since we left Davos, where the Rwandan President, Paul Kagame called for African solidarity, the need of interrelatedness of all communities and states and togetherness. He urged that all our 54 countries needed to work together and trade amongst each other at a dinner hosted by the World Economic Forum. Eight heads of African states were present including members of governments, the private sector, entrepreneurs, investors and civil society. As you may be aware, each year, this small Swiss City gathers the most "powerful and influential people on our planet. These people can make or break your life, these people can decide or not decide for the world poorest and vulnerables including the refugees, women and girls; they can pump billions of dollars in elections, or vaccines that could cure an entire generation, these people can choose or not choose to invest in girls education through technology. These people have power, money, planes and connections. The theme of the conference this year was the Fourth Industrial Revolution if you have not got the book, you should get it here the title sounds very complicated but I recommend you read it, it was written by the Founder of World Economic Forum Prof. Klaus Schwab, in advance of the annual conference. The book is informative in my opinion and well articulated, it truly gave me an insight of what the future may look like if we use technology intelligently for example in Africa to design new products and services. As a technologist, I know that the 4th Industrial revolution can have a monumental impact on the African Economies but before thinking of all this, I sincerely believe that we must awake our consciousness in the importance of standing in our power at Global events including at our owns such as at the Annual African Union, Economic Commission for Africa, Southern Africa Development Community meetings and other key gatherings where Africa is at the centre. One may realistically argue that Africa has not yet lived the 2nd or 3rd Industrial revolution before thinking of the 4th but I believe that even the most vulnerable in our societies and communities can give it a try at exploring opportunities and possibilities as illustrated on a recent tweet by Carlos Lopez "Industrialisation through focus on the manufacturing sector, is the path in order to transform African economies". One solution that could really transform Africa is Electricity. We have many opportunities to create jobs and build product and services that can help our people become prosperous but as my fellow senegalese Young Global leader, Investor Amadou Hott said eloquently "Energy is key issue for Africa and there is no "Digital Transformation without electricity". As we celebrate the ‎Electrify Africa Act passed by the U.S. Congress, surely it should mean something for all of us? Nigerian Billionaire Tony Elumelu said that he hopes: "The bill provides a framework for a major public-private partnership between the United States and sub-Saharan African countries to break down barriers to private-sector investment and development of affordable, reliable energy in Africa...."
Our African makers, coders, innovators whom are building technological solutions that are impacting and changing their communities, should have the audacity to explore opportunities with the help of their governments and the private sectors in order to create markets and profitable business environments. My mind has been occupied lately on why whenever Africa is talked about at the global stage, or online, we all feel frustrated that our continent is not getting the fair shot, we feel people are competing with us, we enter into a dismissal mode or we ask why some people misrepresent or exaggerate what is really going on; something is always missing. There is no level playing field in content distribution and representation. But when pivotal and critical issues happens in Africa, we all remain silent. A friend of mine and a fellow Young Global Leader and Business woman from Namibia, Ally Angula recently shared this with me "we allow for what is happening to us to happen because for those with a powerful and a respected voice choose to remain silent". I questioned if it is because we don't stand in power enough, clearly state the truth, speak up loud about what we want to discuss, dare to be visible, share our stories or is it simply because we allow the African content to be written or promoted by others. Where is our creative activism? Often when I attend high level events, I am always looking forward to an honest conversation from our leaders and curators about key topics such as, the state of refugees in Burundi, in Central African Republic, our Elections in Africa, how to make them transparent, just and fair. Other topics include, how to have more security in Africa, how is philanthropy and investment improving Africa vs AID in Africa, our new home grown technologies and lack of funding and market acknowledgement, skills and jobs creations, youth unemployment, the state of our education system, the digital divide that Africa will experienced, and the current pressing african affairs everyone is talking about in our streets in Africa. Sadly these hot topics are barely addressed and most of us feel that Africa gets deliberately marginalised with content and visibility, many times we disregard the zero women on panels epidemic and think it's funny. This is not funny! We are in 2016 and our leaders, men should make a room for women to be on panels, or refuse to join events where men only speak because a certain organisation has sponsored the event. This clinical practices of sharing the African stories for Africans is really pathologic and we really must collectively challenge this at global events or when we are invited to speak at conferences. We need a coalition where everybody joins in. Why do we feel mentally restricted to stand in our power? Surely a certain group of people should not be influencing our stories, what can we do to move away from the only narrative of african commodities and agriculture conversation to include pertinent topics I mentioned above? 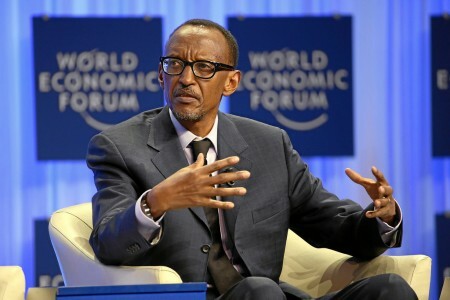 I have the intention in boycotting few key African events this year and will not take part even if I am invited, however many others that I am looking forward to, will take place including World Economic Africa in Rwanda, naturally many western organisation will be attending despite their discomfort with Kagame's extended political leadership as wished by the people, the Rwandans. How those sort of event will be reported should reflect the reality not speculations, fabrications and assumptions. Where there is no factually evidence based information, one of course must demand this and I hope we can also have an honest conversation about our african institutions deficit, the endemic and collective silence of our leaders and key voices when something is obviously going really wrong on the continent. I wonder when this continuous mind restrictions will be addressed. I always believe that Africans must stand in their power and eradicate the deficit of trust that exist in the continent. The continent needs unity, purpose and cohesion. I'm afraid, we cannot get rid of how we are labelled and misrepresented because of our history and colonial legacy but we can gradually gained a measure of satisfaction from the multiples self gratification and labels- in many cases we allow these-It is time that we create our own alternatives narratives. I have learned in my life that, if we do not take care of our people, they will take care of us from street to street. Oppressed people cannot remain oppressed forever, the yearning for freedom eventually manifests itself from tweet to street and our continent has seen enough blood and fragmentation, we cannot ask for more resilience of it. Never before have I written an open letter to my fellow africans, but before closing I feel impelled to mention one other point which I hope profoundly that you will understand my calling to you after you read this letter, and take a personal appropriate action. Despite living in times of great mistrust of any form of authorities and wishing for more urgent democratic times, surely we must practice what we preach by investing in our creative industries! We have a pool of talent in Africa, a collective energy of extremely creative people whom are yearning to be found and discovered. There is no shortage of stories to tell either but I guess we need to appreciate or want to tell it before others do, because the juxtaposition of telling our stories and letting others own it is imminent. I am really concerned that we are all recycling through social media via quick tweets, retweets and other mediums an expired content that needs urgently to be rewritten for the next generation. Content is still king, however this is a crisis that needs to be acknowledged by all as such and it is imperative that we do everything we can to collaborate, innovate, inspire, educate and empower our people, especially if we want to firmly stand in our power as a collective.